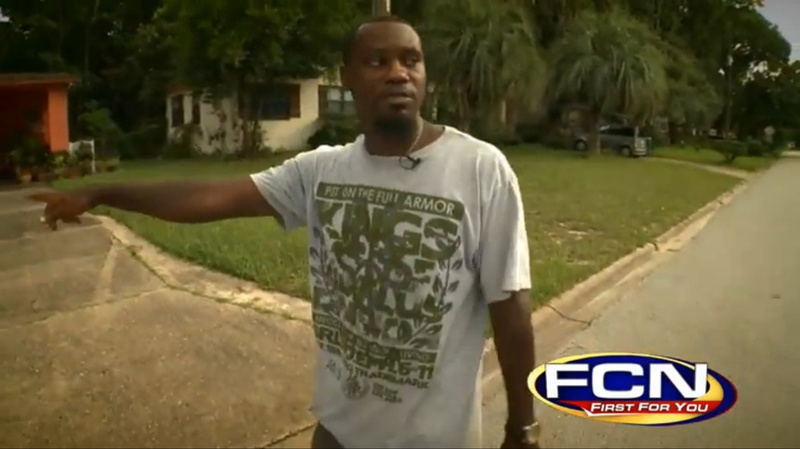 The Jacksonville Sheriff’s office clearly has a lot of crime to address when its officers are arresting people for “walking on the wrong side of the road.” That is what Bobby Wingate says happened to him. He says that the officer punched him and threatened to taser him for the heinous offense. Wingate says that he was on his way to an appointment in Arlington when an officer pulled up alongside Wingate and told him to stop. Wingate says that he said he was late for his appointment and the officer told him that he was breaking the law by “walking down the wrong side of the road.” He says that the officer punched him in the face and threatened to use his taser. The State Attorney’s office actually prosecuted him for resisting arrest without violence and walking down the wrong side of the road. That’s right. The State Attorney fought to convict him of walking on the wrong side of the street until a judge threw the charges out of court. He says that the officer actually could not recall what side of the road was the wrong side of the road. Then there is the always flexible theory of “resisting arrest without violence” — the perfect bookend charge to “walking on the wrong side of the street.” It is not clear if calling the police is one such criminal act of resistance without violence. Wingate is now suing. However, the deputy is still with the Sheriff’s Office and there is no indication of any discipline. He is still presumably policing to keep people on the right side of the road . . . whatever that might be. Want to see a real horror story? Laserhaas, who posts here from time to time, wrote a diary on Daily Kos that is worth reading. Or not, if you have a weak stomach. There are exceptions to the sovereign immunity rule which immunizes public officials. If they commit a civil rights violation while acting under the color of law, that can penetrate the veil under the right circumstances. For reference, see the story I wrote this past weekend about the Kentucky psychology licensing board. As agents of the state, they would ostensibly be acting on behalf of the Commonwealth; however, note each and every member of the board is named as a defendant individually. Each case is going to be different, and each jurisdiction will have different laws. Only an attorney can tell you what the law is where the bad act happened. now this cop story has a sad beginning especially since i have a special love for german shepherds even though the cop resigned i still wish someone would give him what he gave that poor dog. New video released by the family of a man killed by police in DeLand, Fla., shows how an officer ran him over with his car as he ran through a vegetable garden. The family is calling for an independent investigation by state and federal agencies, after a grand jury decision last week not to file criminal charges against officer James Harris. Marlon Brown, who was 38 when he died in May, was being pulled over for an alleged seatbelt violation when he got out of the car and started running. Officers were following him in a police car when Harris sped to the scene from behind. The released video shows Harris’ car speeding toward Brown — passing the other police car by. When Brown tripped and fell, and the police car kept going. An internal police investigation found that Harris violated the Department’s chase policy, and he was fired. But the grand jury found there was not enough evidence to criminally prosecute Harris for vehicular homicide. Brown’s family points out that the jury had not seen video of the incident, and questions the testimony of the medical examiner, Shiping Bao, who was fired after his testimony in Trayvon Martin’s case. Bao said the car didn’t strike Brown and that Brown had no broken bones, but that he was pinned underneath the car and suffocated. Well at least we know the answer now to the age old questions ‘why did the chicken cross the road’- because she didn’t want to get arrested for walking on the wrong side. Question… Have you ever been on Date Line or a similar program? This is the archetype of how not to do your job and how stupid stuff can mushroom out of control and ruin your career. If you ever get into an understandable situation in your first years where you are unsure which way to handle a particular issue, compare both each possible decision with the example in this web blog. The possible decision that resembles this the most is the WRONG way to do it. Keep that in mind. What do I think happened? In the news story (all the info I have to judge by) the deputy asks the victim if he would like to talk to him. The victim then declines, stating he doesn’t want to miss an appointment. Then the outrage ensues. From the deputy asking the man if he would like to talk to him is a standard line that police will use when they want to contact someone and obtain permission to do so. If they don’t get their permission, if there is no reasonable suspicion or PC that they were involved in criminal activity, the officer cannot hold them. By asking “Can I talk to you.” if something comes up and for whatever reason an arrest is made it can be articulated by the officer that the conversation was voluntary as evidenced by the citizen agreeing to talk to them. But somehting went wrong with this deputy. I suspect that he got miffed that this man, for whatever reason, did not want to talk to him and then stepped up to this wrong side of the road pretext to show who was boss and maybe that there was some kind of real violation to be had. Now I need to step back one stop. Why do police often come up to people and say “Can I talk to you for a minute.” The say that mostly because they have a suspicion of “something being up” with this person, gut feeling or whatever it is and they want to see what is up. Now this is not always evil or nefarious, it is just one of the techniques used. So I suspect what might have happened (and this is just a guess since I don’t have all the information) Was something drew the attention to the victim from the deputy and he wanted to check him out. And when the victim did not go along, this Deputy went out of control. And the resisting arrest part was just to put a false sense of credibility this victim was getting out of control. And the proscutor filing the charges was trying to make a weak attempt to cover the county’s back side by claiming probable cause. Well at least the judge wasn’t convinced of its merit. pdm, Not only have auto v auto accidents increased w/ our distracted culture of cell/text, auto/pedestrian accidents have also increased. I walk a lot, often on rural roads w/o a sidewalk. You are nuts if you don’t walk toward the traffic. I don’t know how bicyclists, who ride w/ the traffic do it. That’s a leap of faith I would never take. Raff, you’re a cyclists, what has been your experience? Are you required to ridew/ the flow of traffic? Anyone else bothered by “the case was thrown out when the officer couldn’t remember which side Wingate was walking”? Why did the “case” even get that far? Doesn’t the question suppose there IS a right side of the road? well apparently they’ve added 5 new laws to the books without us knowing about it. when will the people wake up and begin fighting back to retain their rights and freedoms and NO I AM NOT ADVOCATING VIOLENCE OR WAR. there are certainly non violent ways to handle this. remove your money out of their hands.., turn off their services go back to the basics.., spend your money here in the usa in mom and pop business i know they’re no longer easy to find. but they can be found… begin buying your products from small companies. also i have a question i would like to ask of those who know and understand the law much better then i do. Maybe he was on the sidewalk and not walking in the gutter where he was expected to be in that low life Southern town. The case went to trial but was thrown out when the officer admitted during testimony that he didn’t remember what side of the street Wingate was on when he was cited. Wingate, who is black, was the victim of racial profiling, according to his attorney. 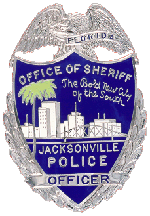 The two have filed a lawsuit against the Jacksonville Sheriff’s Office. I second jot’s comment. I’m a lawyer and I’ve never known there’s an actual law requiring people to walk on one particular side of a road. Out of curiosity, which is the side of the road one is allowed to walk on in Jacksonville?